High density interconnect manufacturing and fabrication. In today's competitive global printed circuit board marketplace, our customers require us to continue to exceed the capabilities and technologies of other HDI PCB manufacturers. 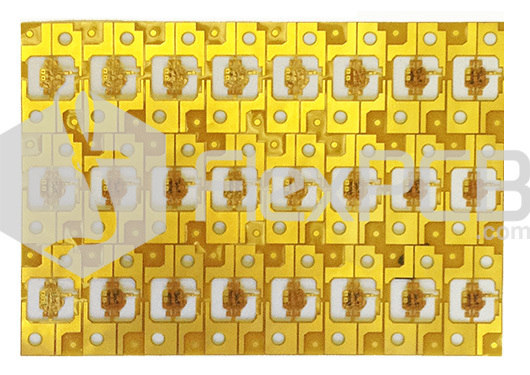 Flex PCB is an industry leader of providing High Density Interconnects (HDI PCBs) for a wide range of different types of industries. A few of those infdustries include: military, aerospace, supercomputing, medical devices, next-generation silicon testing, and chip packaging. With Flex PCB's high density interconnection capabilities include state-of-the-art UV Yag and CO2 laser drilled 50 micron microvias, blind and buried vias, 19 micron line and space widths, solid copper via-in-pad technology metal core, plated edge holes, thin builed-up materials, fine pitches, and heavy copper. When you utilize our HDI circuit manufacturing services over traditional PCB fabrication, you can significantly increase your ROI by saving space and weight. Here are a few highlighted HDI manufacturing capabilities. See our full capabilities here. 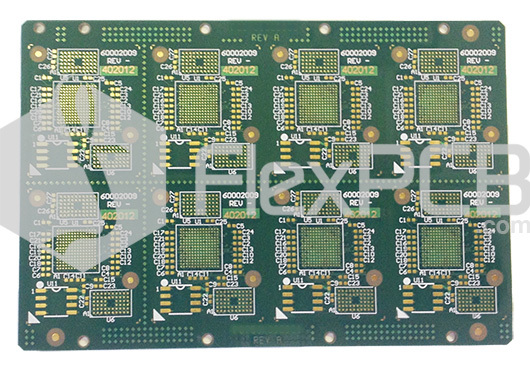 Contact us today at 888-397-9545 or quote@flexpcb.com to learn more about Flex PCB and how we can provide your company with the most highly complex HDI printed circuit boards manufacturered in the market today. We manufacture mission-critical HDI circuits with quick turnaround times.